We provide personalized, life-changing service! I-Intelligent Risk Taking-We trust your judgment. Be innovative. Be entrepreneurial. 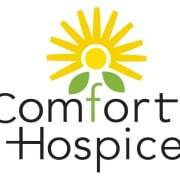 Would you recommend Comfort Hospice?